A toner that cleanse and restores the skin to it's bright, clear tone. 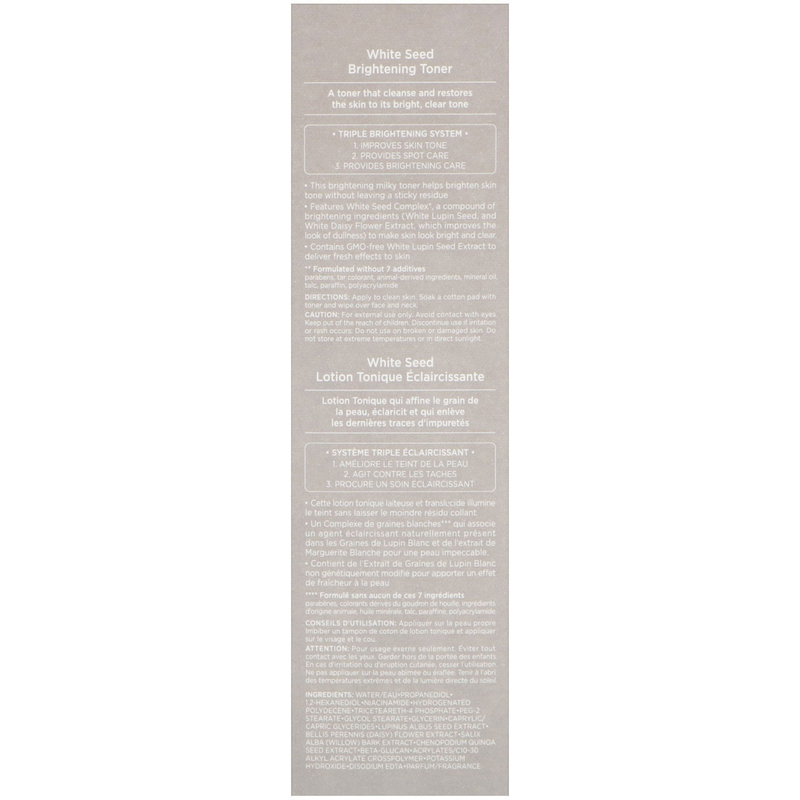 This brightening milky toner helps brighten skin tone without leaving a sticky residue. 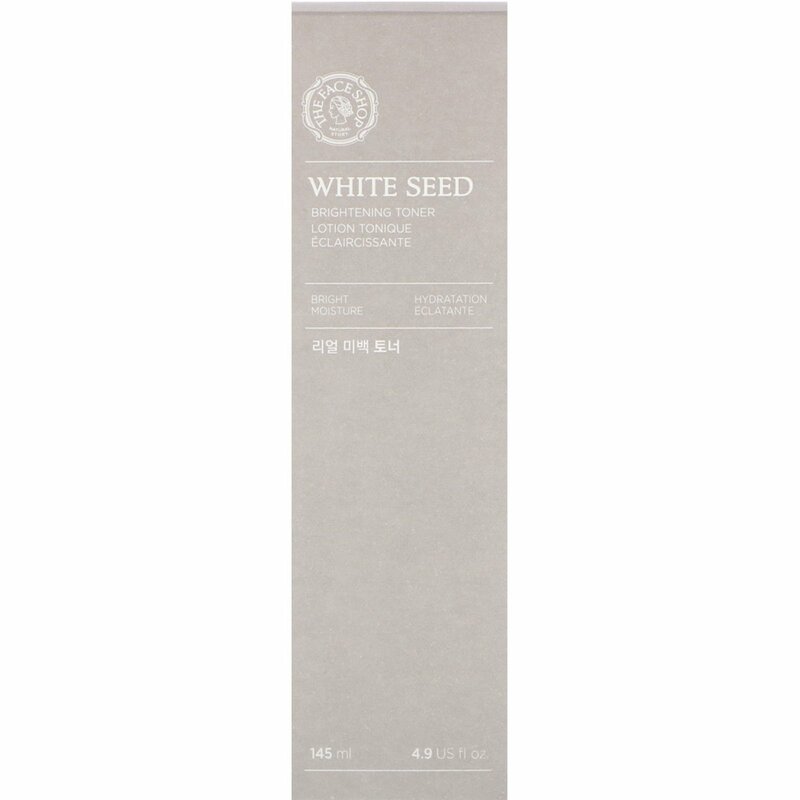 Features White Seed Complex, a compound of brightening ingredients (White Lupin Seed, and White Daisy Flower Extract, which improves the look of dullness) to make skin look bright and clear. 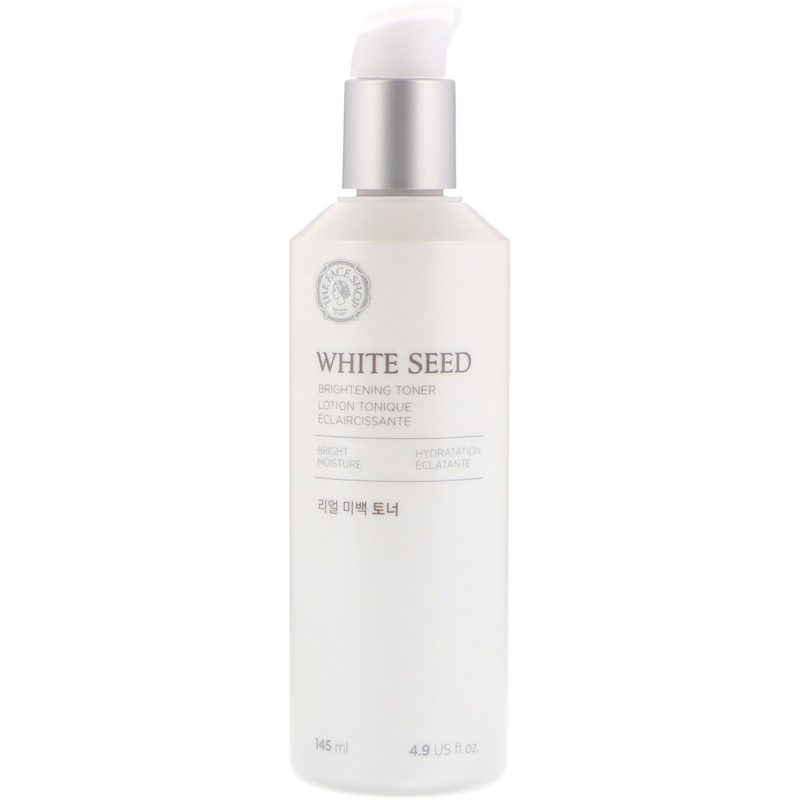 Contains GMO-Free White Lupin Seed Extract to delivers fresh effects to skin. Paraben, tar, colorant, animal derived ingredients, mineral oil, talc, paraffin, polyacrylamide. Apply to clean skin. Soak a cotton pad with toner and wipe over face and neck. Water/eau, propanediol, 1,2-hexanediol, niacinamide, hydrogenated polydecene, triceteareth-4 phosphate, peg-2 stearate, glycol stearate, glycerin, caprylic/capric glycerides, lupinus albus seed extract, bellis perennis (daisy) flower extract, salix alba (willow) bark extract, chenopodium quinoa seed extract, beta glucan, acrylates/C10-30 alkyl acrylate crosspolymer, potassium hydroxide, disodium edta, parfum/ fragrance. Caution: For external use only. Avoid contact with eyes. Keep out of the reach of children. Discontinue use if irritation or rash occurs. Do not use on broken or damaged skin. Do not store at extreme temperatures or in direct sunlight.